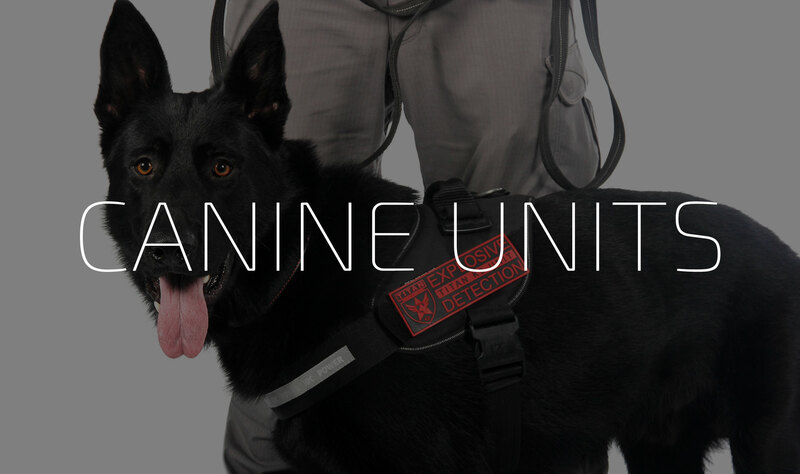 Titan detection is a team of specialists in counter-terrorism and in explosives detection dogs. We are capable of offering an overall solution to the threat of bomb attacks and to the illegal possession of firearms and narcotic drugs. We invite you to visit our Titan Detection’s corporate website to browse all our services. In the strict respect of the legal framework, we are capable of offering K9 solutions adapted to every request. Whether it is in patrol, in intervention, in crowd control, or simply in dissuasion, our K9 team consists in experienced dog handlers who work with their own well-balanced and specifically trained dogs. The presence of a K9 team in a security framework is essential to ensure prevention and dissuasion, but also during interventions.